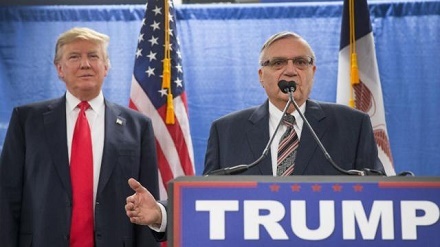 Former Arizona sheriff, Joe Arpaio, worked long hours helping Trump’s campaign. Sen. John McCain, R-Arizona, decried President Donald Trump’s pardon of a former Arizona sheriff who was accused by the Obama administration — and investigated by Attorney General Eric Holder for over five years — of leading his deputies in the racial profiling of suspected illegal aliens. A politician many conservatives claim is a liberal-left Democrat at heart, McCain released a public announcement on Saturday morning that gives its readers the lawmaker’s opinion on President Trump’s full pardon of former Maricopa County Sheriff Joe Arpaio. “No one is above the law and the individuals entrusted with the privilege of being sworn law officers should always seek to be beyond reproach in their commitment to fairly enforcing the laws they swore to uphold,” McCain said. This isn’t the first time McCain has blasted Trump or a Trump decision. In fact, a number of law enforcement officers believe Sen. McCain is part of the Deep State’s Resistance Movement, an organized effort to remove Trump from office. Shortly after the election — that left Donald Trump the winner and Hillary Clinton the loser –John McCain attended a Canadian conference and spoke with a ‘former senior western diplomat’ who knew of the dossier’s existence, claims the United Kingdom’s Daily Mail. On Tuesday, the Wall Street Journal exposed the ex-spy who actually obtained the documents as being British subject, Christopher Steele of the British security bureau MI-6, which handles foreign operations (MI-5 is Britain’s internal security and intelligence agency). 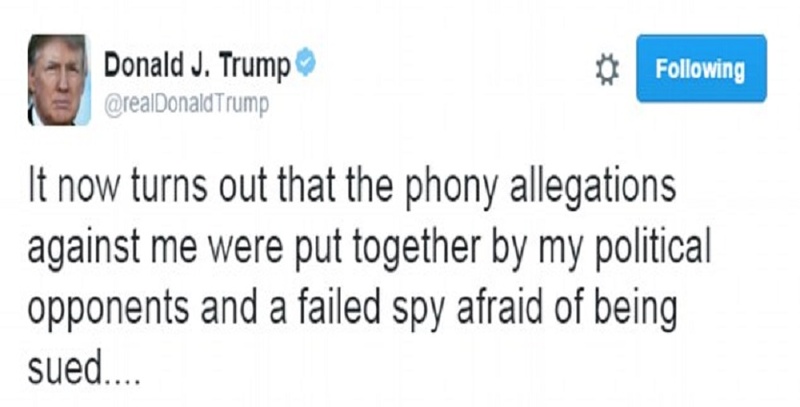 Steele’s spy agency discovered a Democratic Party insider who wanted dirt on the Republican nominee to be released in the U.S. news media. The unnamed contractor was later identified by the Wall Street Journal as being Christopher Steele. He and another ex-British diplomat, Christopher Burrows, run their own company, Orbis Business Intelligence. Senator John McCain is a Traitor and should be removed. Though he often acts that way, McCain is not senile; he knows exactly what he’s doing. And what he’s doing is what he did in Vietnam: selling out his country to the enemy. The man is a despicable traitor. Washington Cartel -the Long Term Elected “MILLIONAIRES” Democrats & FAKE GOP funding each other and VOTING TOGETHER further to enrich only themselves PRESIDENT to PRESIDENT. including Sen Flake and McConnell.